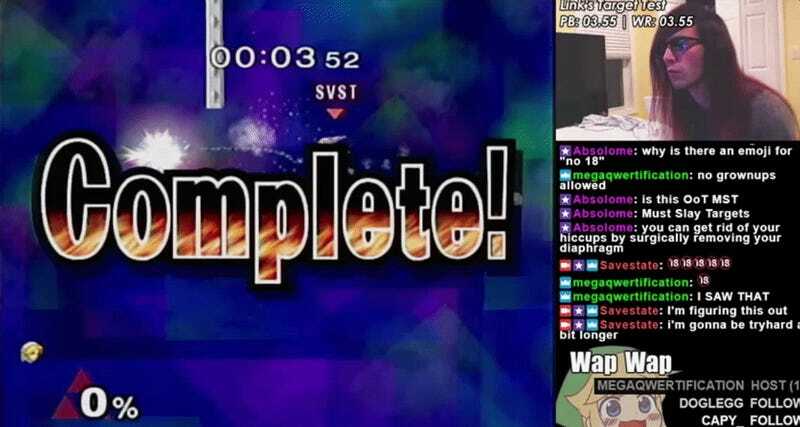 A super-dedicated Super Smash Bros. Melee player broke a 14-year record yesterday for the game’s “Break the Targets” mode. Break the Targets is a classic Super Smash Bros. minigame in which a character must break ten targets as quickly as possible. Each character has their own moveset and target test layout. Right now, the record for completing the mode in Super Smash Bros. Melee is a Mr. Game and Watch player’s 2.82-second run. Then, comes a Luigi player’s 3.23-second run. The player who just set a new record for Link’s run, Joseph “Savestate” El-Khouri, completed the mode in 3.52 seconds, .03 seconds faster than the previous record set in 2004 by a Japanese player named Taka (there are two other faster times, but they were accomplished on either a modded copy of Melee or with an assisting tool).